MAXIMAL G - TAKE OFF WITH THE FUEL FOR PEOPLE WHO GO BEYOND LIMITS. High caffeine content (32 mg / 100 ml). Not recommended for children and pregnant or lactating women. When consuming large quantities together with vigorous exercise or with the consumption of alcoholic beverages, adverse effects cannot be ruled out. A varied and balanced diet and a healthy lifestyle are recommended. Give a handful of crushed ice, one tablespoon of lime juice ans 20 ml of blueberry syrup into a cocktail glass. Fill the glass with 100 ml of ice-cold MAXIMAL G (Original or Sugarfree). Add fresh blueberries and five mint leaves for garnish. Finally divide a lime into eights and rime the glass. Give a handful of ice cubes into a cocktail glass. Add 60 ml black currant nectar into the drink slowly. Then add 20 ml of lime juice. Fill the drink with 80 ml ice-cold MAXIMAL G (Original or Sugarfree). 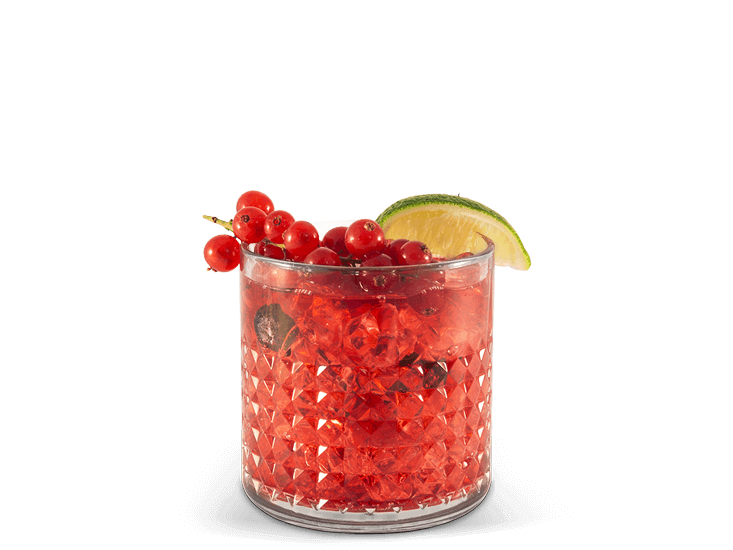 Garnish the glass with fresh currants and a slice of fresh lime. 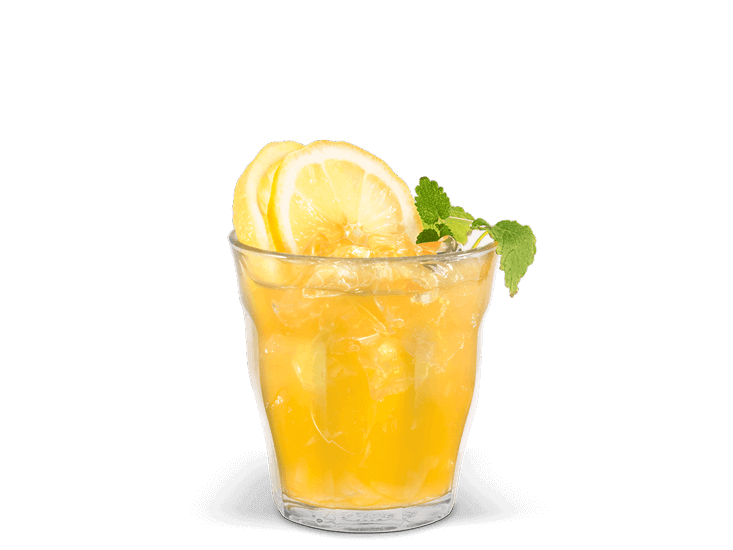 Give a handful of ice cubes into a cocktail glass and fill it with 100 ml of passion fruit nectar as well as 20 ml of elderflower syrup. Use two slices of lemon and lemon balm for garnish. Fill ice cubes into a cocktail glass and add 50 ml of grapefruit juice. Pour 20 ml of raspberry syrup carefully into the glass, so that the syrup enters the edge slowly. Add 80 ml of ice-cold MAXIMAL G (Original or Sugarfree) into the drink. 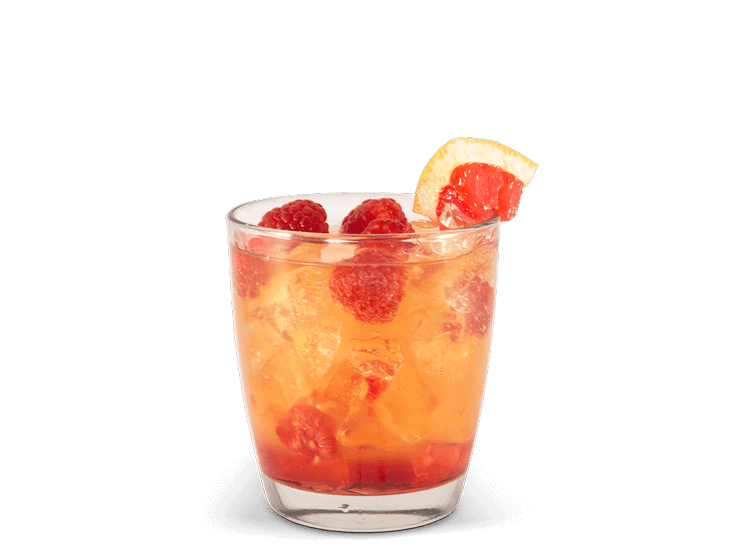 Add 25 g raspberries to the drink and decorate the glass edge with a slice of grapefruit. Fill ice cubes into a cocktail glass and add 120 ml of cranberry juice as well as 80 ml of pineapple juice. Add 120 ml of ice-cold MAXIMAL G (Original or Sugarfree) into the glass. 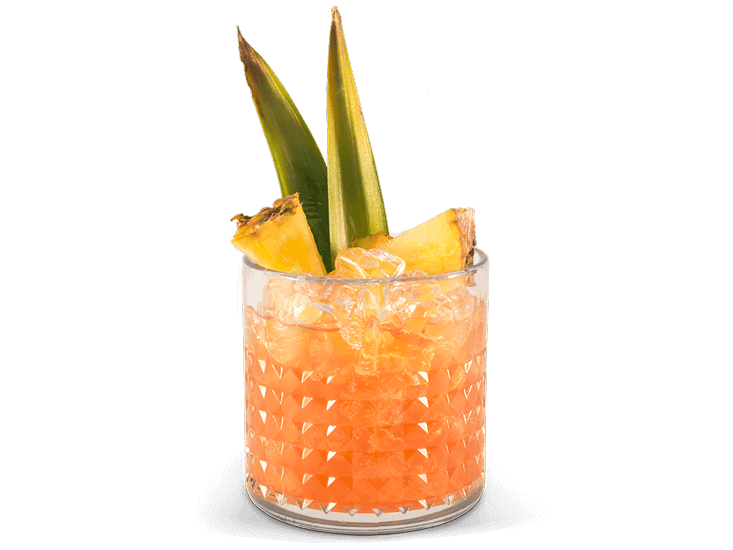 Garnish the drink with two slices of pineapple. Rewe Deutscher Supermarkt AG & Co. KGaA, Domstr. 20, 50226 Cologne (hereinafter referred to simply as “REWE”) operates the maximalg.com/ru website and wishes to inform you in the following data protection declaration the extent to which data will be gathered when you use our maximalg.com/ru website and the purposes for which this data will be used. Further, REWE would like to inform you of your rights in this context. Please note the following: this data protection declaration applies exclusively to the www.maximalg.com/ru page, including any subsidiary pages (such as www.maximalg.com/ru/[xy]) and subdomains (such as [xy].maximalg.com/ru, etc.). The website www.maximalg.com/ru allows you to switch to other REWE websites, such as www.maximalg.com/at and others. Each of these sites not beginning with www.maximalg.com/ru has its own data protection declaration, which can be called up on the corresponding sites. REWE ist responsible for data collection and processing in compliance with the data protection provisions. Our data protection principles are in line with the legislative requirements for data protection. 2. WHAT IS MEANT BY PERSONAL DATA? Personal data entails individual information about the personal or objective circumstances of a particular or identifiable natural person. This includes information such as your full name, your address, your phone number and your date of birth (if provided). Statistical information that cannot be linked with you either directly or indirectly – such as the popularity of particular websites that we operate or the number of users of a site – is not personal data. For the purposes of system security, when you visit our websites, the web servers save some standard data on a temporary basis: the connection data of the requesting computer, the web pages that you visit, the identification data of the browser and operating system type used as well as the website from which you visit us. The ip address of the requesting computer, minus the last three characters. This data is stored in anonymised form. This means that it is impossible to produce personal user profiles from this information. This data is deleted or anonymised at the end of the session. Absolutely essential cookies: these cookies are necessary so that you can move about the website and use its contents, e.g. to access password-protected areas. Without these cookies we cannot provide some of the services you want. We use essential cookies to identify registered users unambiguously so that they can be recognised while using the site and the next time they visit the site. Performance cookies: these cookies gather information about how users use a website, for example what pages they call most often and whether they receive error messages form websites. These cookies do not gather data that can be used to identify visitors. All information gathered using these cookies are anonymous and are solely used to improve the functionality and service of the website. We thus use performance cookies to produce statistics about how our website is used and to see how effective our advertising campaigns are. Functionality / personalisation cookies: these cookies enable websites to remember information provided by a visitor earlier (e.g. user name, language or selected supermarket) so as to offer optimised features tailored to the specific user. Thus, for example, a website can supply you with the latest information about your supermarket by saving your current location in a cookie. These cookies are also used to save settings that you make on the website (e.g. font type or size and other options that the user can change). In addition, they are also used to provide the services you want, for example if you want to watch a video. These cookies are not capable of monitoring your browser activity on other websites. They do not save any information about you that can be used for advertising purposes and cannot deduce your internet use when outside our website. Thus, we use functionality / personalisation cookies to recognise you when to revisit our website and to personalise content and save your settings (for example your preferred supermarket). Targeting cookies: these cookies are used to tailor advertising more closely to you and your interests. They are also used to restrict how often you see an advertisement, to measure the effectiveness of an advertising campaign and to understand how people behave after they view and advertisement. Targeting cookies are generally placed on the pages of advertising networks with the agreement of the website operator. They recognise that the user has visited a website and pass this information to other companies, such as advertising companies. They are often linked to website functionalities provided by this company. Thus, we use targeting cookies to establish a link with social networks that can then use the information about your visit to tailor their advertising on other websites specifically to you and to provide information about your visit to the advertising networks used by us, so that your browsing patterns can be used to ensure that the advertisements that you see will genuinely be of interest to you. 1.) One way to stop web analysis by Adobe analytics (Omniture) is to use an opt-out cookie, which tells adobe not to store or use your data for web analysis purposes. Please note that if you use this solution, web analysis will only be prevented for as long as the opt-out cookie is stored by your browser. If you now wish to set the opt-out cookie, click here. 2.) You can also prevent the cookies used to form the profile from being saved by making a corresponding setting in your browser software. REWE uses service providers for services and processing of your data (among others for the hosting of your data in a secure data center, delivery of ordered goods, distribution of letters and emails, and database maintenance). The service providers process the data exclusively according to the instructions of REWE and have an obligation to comply with the confidentiality requirements. All service providers are carefully selected and have the access to your data only to the necessary extent and for the time period needed for the service provision. The servers of some service providers of REWE are located in USA and other countries outside the European Union. The companies in these countries are subject to the data protection laws that do not protect person-related data to the same extent as the member states of the European Union do. In the case if your data is processed in a country that does not have the same level of data protection, as the countries of the European Union, REWE will ensure that your personal data is well-protected by contractual arrangements or other accepted measures. We implement technical and organisational measures to protect your data from unauthorised viewing. The information you provide is transmitted in encrypted form using the SSL protocol (Secure Socket Layer) in order to prevent any misuse of the data by third parties. You can notice that due to a lock symbol in the status bar of your browser and due to the fact that the address bar starts with “https”. REWE will provide you upon request with information about what data REWE will store and how it will be used. Should your stored by REWE data be incorrect, REWE will correct it. You can contact REWE for this matter via the address mentioned in Section 8 or in any other way. You have the right to block and delete the data stored by REWE regarding your person. If deletion is contrary to statutory, contractual, tax law or commercial law retention or other statutory reasons, then the blocking of your data instead of deletion will be made.